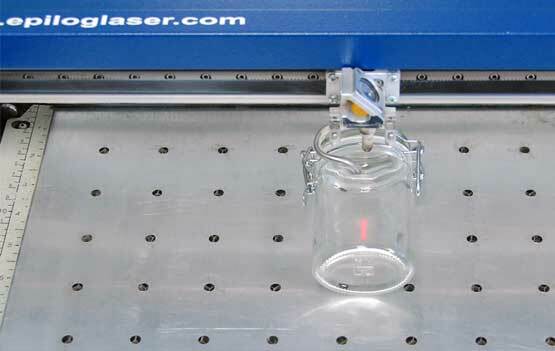 Laser etch a small glass jar and turn it into a custom spice jar with your laser! In this sample we are laser etching glass spice jars that will make a great addition to any kitchen. 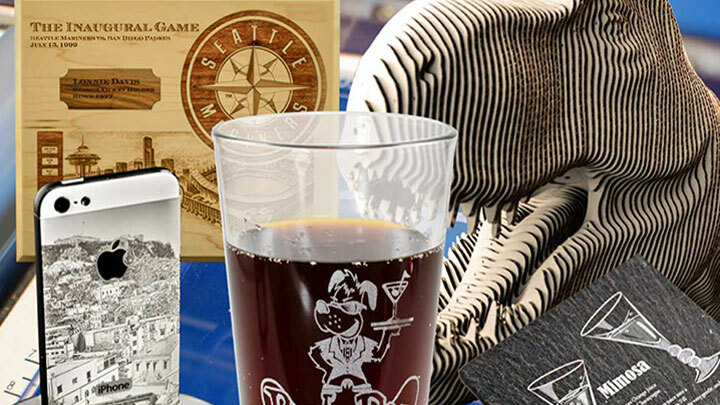 When laser engraving glass, you can produce a sophisticated, frosted effect that is very popular with customers. 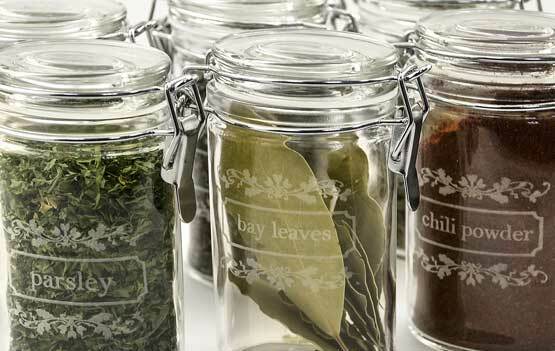 Here we etched glass jars with a variety of common herbs and spices that are a staple in any kitchen. The file is resize-able so you can change add your own touches to customize it even further! 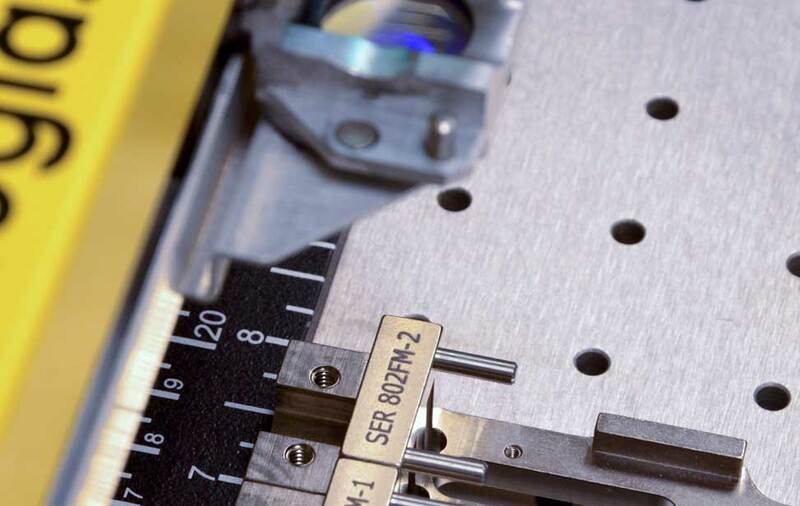 Use the red dot pointer and center-center engraving function. Spices (optional for staging purposes). We used a 60-watt Helix we used 600 dpi, 40% speed, 100% power, with the Jarvis dithering pattern and Center-Center engraving. Open the design file and modify as you'd like. We found that a simple design works best on glass so you can really highlight the spice name. Try out different designs of your own to see what looks best when engraved into glass, but stay away from especially small design elements that will get lost in the engraving. You'll notice the file has been changed to 80% black so we've separated the dots a bit when engraving, which tends to produce a better engraving on glass, especially when you are also using the Jarvis dithering pattern. 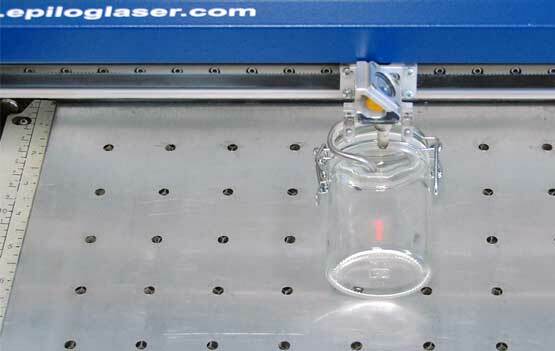 Insert the glass jar anywhere on the laser table. 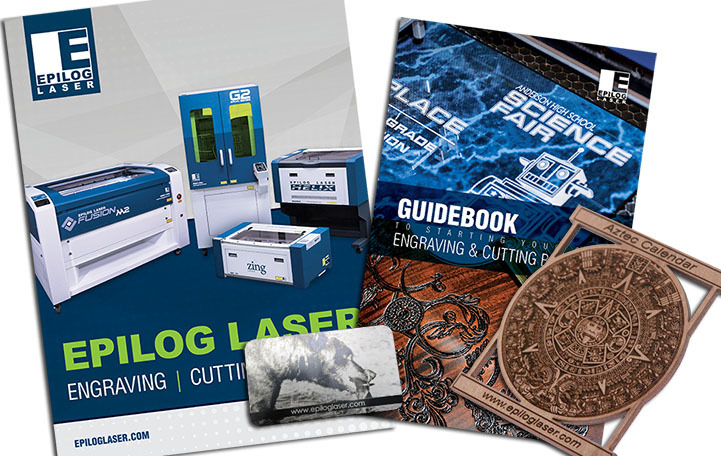 Turn on the red dot pointer and move your home position to the center of the engraving area. Before engraving, draw a vector box around your graphic. Run ONLY the vector portion with the red dot pointer on and the laser lid open. This will give you a visual indicator of where your graphic will appear. Because of the slight curve of the jar, we recommend manually focusing your machine approximately half way down the curve.